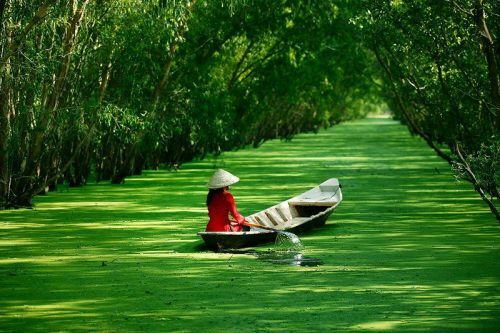 United and All Nippon Airways have dropped the price of their flights from Vancouver to Ho Chi Minh City, Vietnam down to between $555 and $605 CAD roundtrip including taxes. It's also possible to throw Tokyo, Japan into the mix, and have it affect the price by either $0 (free) or up to $100. 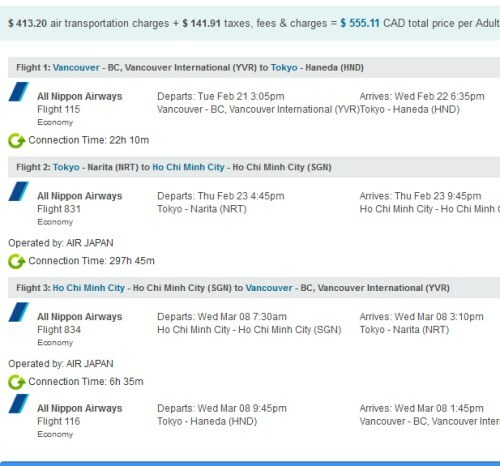 Yes, it's possible to visit both Japan AND Vietnam on the same trip from Vancouver for $555 to $655 CAD roundtrip including taxes! 2. Go to Momondo.ca and search for a flight from Vancouver to Ho Chi Minh City, Vietnam (SGN). Use the same dates as you found with Google Flights. - Some flight options near the top of the results may have really long travel durations (they have overnight layovers in Tokyo). If you scroll down a bit, you should see flight options with more reasonable travel durations of 21-22 hours. - When you get to Momondo you may want to adjust the 'Max Flight Duration' slider on the left, and set it to around 44 hours. This is the total travel duration for both directions. Using this filter will eliminate the flights that have the overnight layovers in Tokyo. Add Tokyo, Japan for free! It's also possible to throw Tokyo, Japan into the mix and have the price work out to be the same. In some cases, it's actually even a little cheaper, and the flight travel times work out to be better. When you get to Momondo you may want to adjust the 'Max Flight Duration' slider on the left, and set it to around 39 hours. This is the total travel duration for both directions. 4. Click through from Momondo.ca to the booking site showing the cheap price. I've had luck with clicking through from Momondo to Flight Network and having the price verify properly. vancouver, yvr, flight deals, asia, east asia, tokyo, japan, hnd, nrt, southeast asia, ana, united airlines, all nippon airways, ho chi minh city, sgn and vietnam.